Studies increasingly identify employee engagement as the absolute #1 key to performance, productivity and profitability. 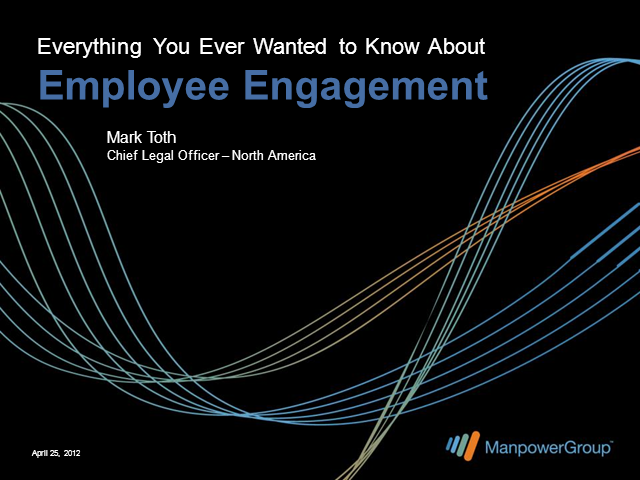 In preparation for this fun and fast-paced hour, Mark conducted an unprecedented set of interviews, surveys, research and analysis on literally every employee engagement resource in the history of the universe. The result is an information-packed presentation that will: give you all the latest engagement facts and figures; clarify what does and doesn't increase engagement; help you boost engagement at all levels of your organization; and provide a glimpse of the future of engagement.